Sedative-hypnotics are a class of drugs known for their powerful sleep-inducing and anxiety reduction effects. They are more commonly known as barbiturates and the barbiturates examples listed below represent the main brands used for treatment. They are prescribed for anxiety, insomnia and to help control seizures. As they affect the central nervous system (CNS), they are not prescribed often due to the potential drug interactions and addictive properties. Barbiturates present an additional danger because taking the correct dosage for an individual can be difficult and too much can depress the CNS and cause coma or death. There are three different categories for barbiturates: very short, short and long. Each of the classification describes the length of time it takes for the drug to take effect and how long the effect will last. The barbiturates examples below include the most common drugs under their trademarked names. Time of Effects: These drugs will have effects within the 20 minutes after administrating, but its effect will not last so long. It is usually used in general anesthesia before a surgery. Examples: Pentothal (thiopental), Brevital (methohexital), Surital (thiamyl). Time of Effects: These can take from 20 to 40 minutes to take effect and have an effect for 5 to 6 hours in the body. Examples: Amytal (amobarbital), Alurate (apropbarbital), Seconal (secobarbital), Butisol (butabarbital), Nembutal (pentobarbital), Fiorina (butalbital). Time of Effects: 1 hour to take effect, but then the effect can last from several hours to several days. Examples: Luminal (phenobarbital), Meberal (mephobarbital), Prominal (methylophenobarbital). Barbiturates depress the central nervous system and too much can lead to coma and death. So if you're going to take barbiturates, below are some precautions you must know to take it properly. All of the barbiturate examples tend to share the common side effects such as dizziness, drowsiness, being clumsy or unsteady on your feet and lightheadedness. These side effects are not a concern unless they do not go away after your body adjusts to the drug and begin to interfere with your daily activities. The following are the more serious side effects associated with barbiturates. If you notice any of the side effects on this list, contact your doctor immediately. You should also watch out for any unusual excitement, depression or confusion that occurs after taking barbiturates. Notify your doctor as soon as possible if you have these problems. If any of these is detected, the person requires immediate medical attention. Taking any drugs that are under the list of barbiturates examples above carry a high risk of tolerance and dependence. As these are GABA (γ-Aminobutyric acid) agonist medications, the mind and body can develop strong psychological and physical dependence mechanisms. Quitting these drugs cold turkey is not recommended as that can cause brain damage, seizures and even death. Withdrawal from these medications must follow a carefully structured protocol which can guide patients go through the physical and mental withdrawal problems. 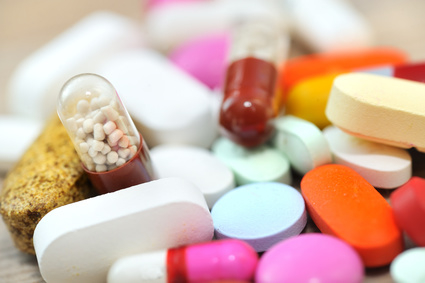 Barbiturates can interact with many types of medication, so checking with your pharmacist is the best way to make sure you can take them safely with your other medications. The most common medications they will interact with include birth control medicines, any kind of medicine that is a central nervous system (CNS) depressant, anti-seizure medications, blood thinners and some of the cortisone-like medications. How Many Classifications Do Antibiotics Have?